My family loves buttermilk pancakes, but only if they're super fluffy. So, to please them, I've long been on a search for a recipe that will yield just such a pancake. Well, the search is over and I have one thing to declare - Alton Brown is the MAN!!! 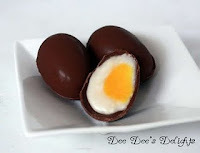 His recipe differs from all others because it requires you to separate the egg and then make two liquid mixtures. The egg white is mixed with the buttermilk and the yolk is combined with the melted butter. Then, these two mixtures are combined before adding it to the dry ingredients. I have no idea scientifically how this works. All I know is that when you flip that pancake over in the pan, it magically puffs up giving you the ultimate light, fluffy pancakes. 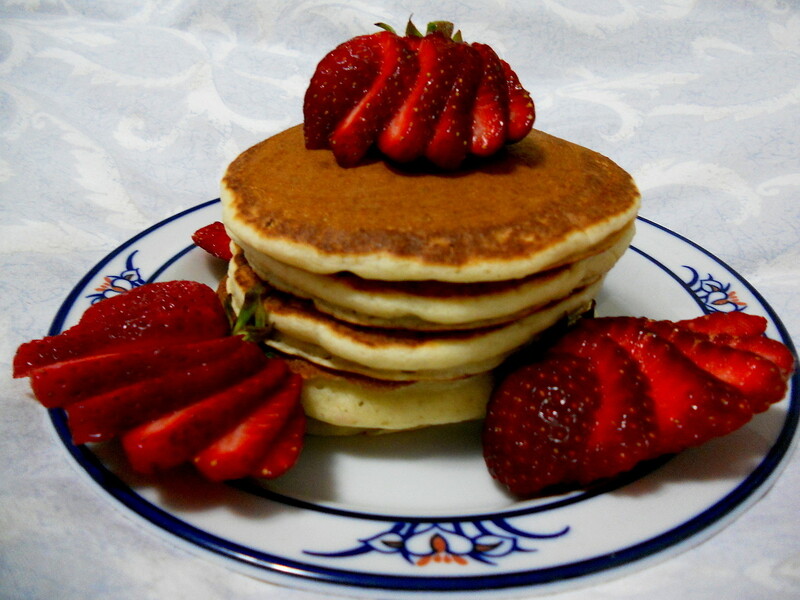 My family flipped over these pancakes and I'm sure you will too. Combine the flour, baking soda, baking powder, salt, and sugar and set aside. Whisk together the egg white and the buttermilk in a small bowl. In another bowl, whisk the egg yolk with the melted butter. Combine the buttermilk mixture with the egg yolk mixture in a large mixing bowl and whisk together until thoroughly combined. Add the liquid ingredients to the dry ingredients. Using a whisk, mix the batter just enough to bring it together, about 10 seconds (resist the urge to work out all the lumps). Check to see that the griddle is hot by placing a few drops of water onto to the griddle. The griddle/pan is ready if the water dances across the surface. 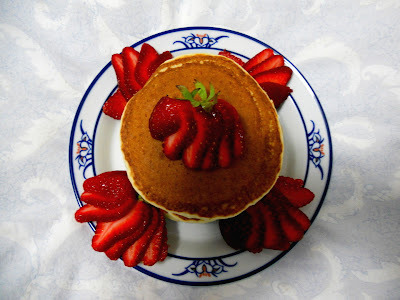 Gently ladle the pancake batter onto the griddle/pan (about 1/4 cup). When bubbles begin to set around the edges of the pancake and the griddle-side of the cake is golden, gently flip the pancakes. It will take about 1 minute on each side. Blueberry muffins bring back memories of my childhood. I remember how my sisters and I used to get up at 6 in the morning to get ready for school. After getting dressed, we'd go into the kitchen for breakfast. Some mornings we might eat cereal, other mornings it might be leftover cake or cookies. 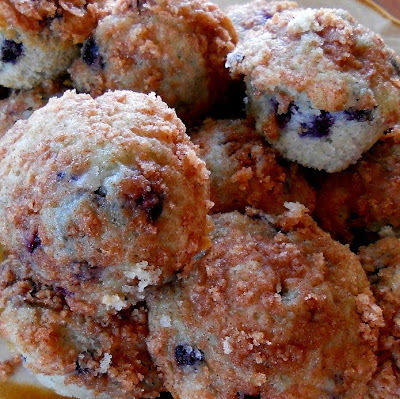 But, every now and then, I'd look on the table and my eyes would light up as I saw a plate of my favorite blueberry muffins warm from the oven. Granted, they were the Duncan Hines made from a mix kind of muffins, but that didn't matter to us. All we knew was that we had a mother who loved us so much that she would get up at 5:30 in the morning just to make them for us. Now that I'm grown, I find that I'm able to return the favor and the love as I make blueberry muffins for my mother. The Duncan Hines box has been relegated to the pantry for emergencies only and instead I reach for a good recipe and stir them up from scratch. 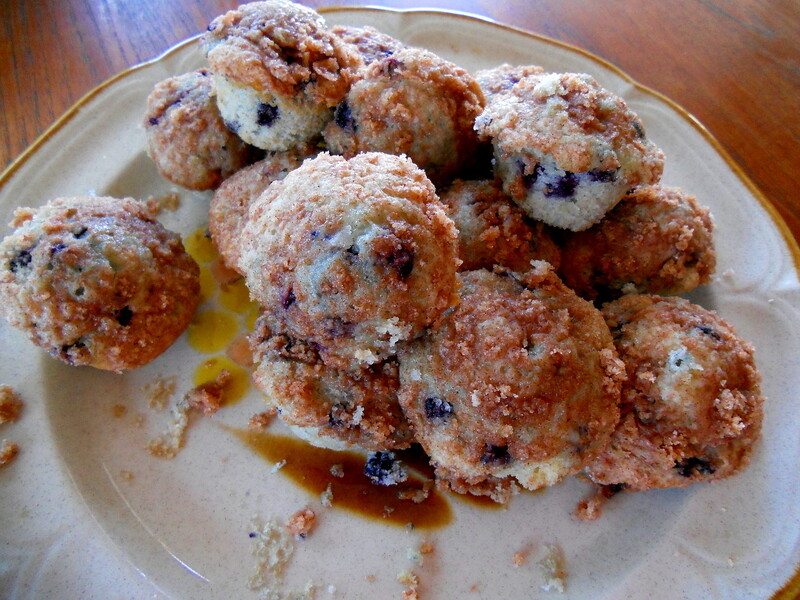 This time, I chose the To-Die-For Blueberry Muffins from the Allrecipes site. Believe me when I say that they really are "to die for." They are amazingly light and fluffy and full of flavor without being too sweet. The best part is that they're sprinkled with a slightly sweet streusel that turns into a crunchy, caramelized topping. One bite and my mother couldn't stop raving about them - "They're better than bakery muffins. They're the best muffins I ever ate. They're just so good." So, if you want to show someone you love them, make them these muffins. Preheat oven to 500F. Grease 24 mini muffin cups. Combine the flour, sugar, salt, and baking powder. Add the oil, egg, and milk. Stir to combine. Fold in the blueberries. Fill each muffin cup with about 1 Tbsp. batter. Combine the sugar, flour, and cinnamon for the streusel topping. Cut in the butter until the mixture resembles sand. Sprinkle the muffins with the streusel. Bake at 500F for 5 min. After the 5 min. are up, immediately lower the temperature to 350F and continue baking for 7 min. more, or until muffins test done. 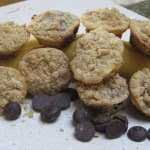 Note: This recipe makes way more streusel than you'll need for the muffins. I'd suggest cutting the amounts in half. This week was just lovely. 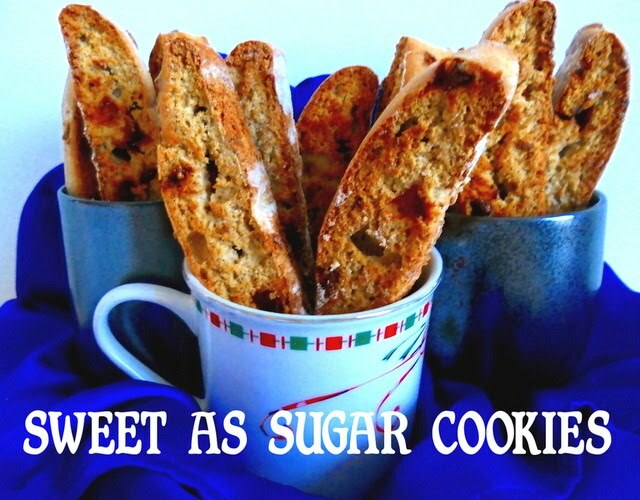 Not only did I have fun browsing through all the amazing Easter treats that you linked up last week, but Sweet as Sugar Cookies also reached the 700 followers mark! When I told my mom about it she said, "When you reach 1000, then we'll go out and celebrate." LOL. ^_^ I'll remember that. I'm just delighted beyond words. I've said it before, and I'll say it again, all of you are the best! You have no idea how much I love reading your comments every day. They continually touch my heart and I especially get warm fuzzies all over whenever I hear how much people enjoy Sweets for a Saturday and look forward to it all week. You and me both!!! So, without further ado, here are you Top 6 from last week (yes there was a two-way tie for fifth again). I must admit, the chocolate sorbet got the creative juices flowing. So, I began to think of a way that I could really use it in something spectacular. That got me remembering those Vienetta ice cream loaf treats that I used to see in grocery stores. 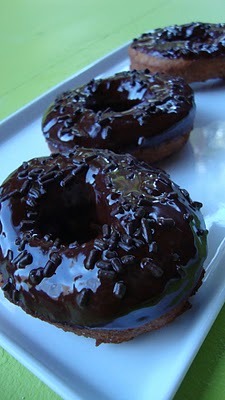 They were made of ice cream layered together with crispy chocolate, so elegant, but also so incredibly expensive. Surely, I could come up with something like that or even better. But, what type would I create? Hmm, well what better combo than chocolate and peanut butter? I decided that I would layer the sorbet with Nutter Butters and Butterfinger Snackerz candies. And so it began. I first lined a mini loaf pan with plastic wrap, leaving enough to hang over the sides. Then, I slightly softened 2 cups of the chocolate sorbet and crushed some Nutter Butter cookies. I made a layer of chocolate sorbet in the pan, topped it with a layer of crushed cookies and then repeated the layers. 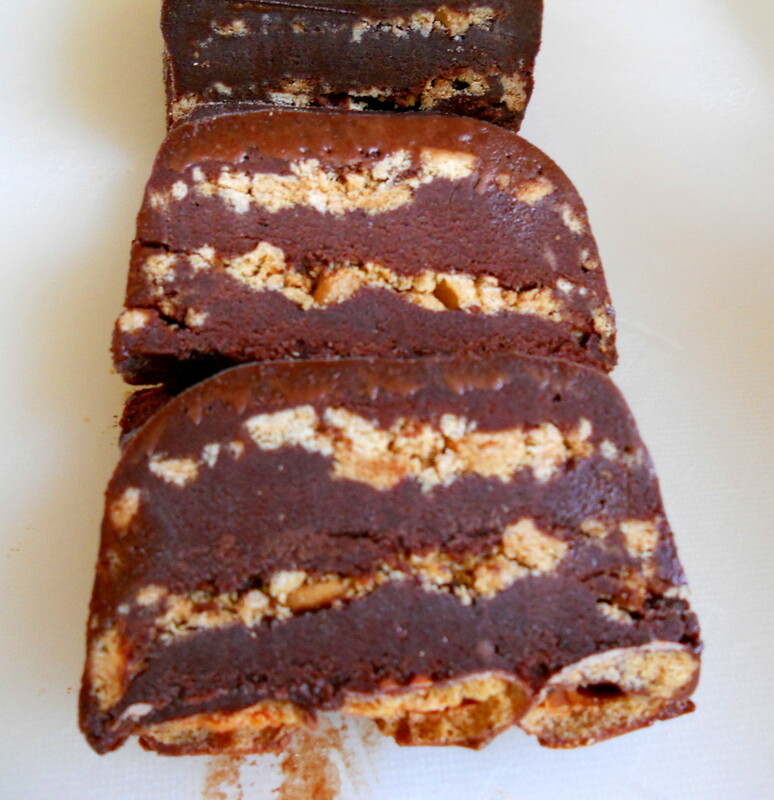 I then put on a final layer of chocolate sorbet and topped that with a layer of Butterfinger Snackerz. Finally, I wrapped the top with the overhang from the plastic wrap and put it in the freezer to chill. When it was nice and frozen solid, I took it out, sliced it, and marveled at all the beautiful layers. It just looked so neat and it was also so easy to make. I can definitely imagine serving this to guests at the end of a nice dinner. My family was certainly impressed and we all enjoyed how good it tasted. I'm just tickled pink that my idea worked out. Line a mini loaf pan with plastic wrap, leaving enough to hang over the sides. Spoon in a layer of chocolate sorbet and smooth it out. Top with a layer of crushed Nutter Butter cookies. 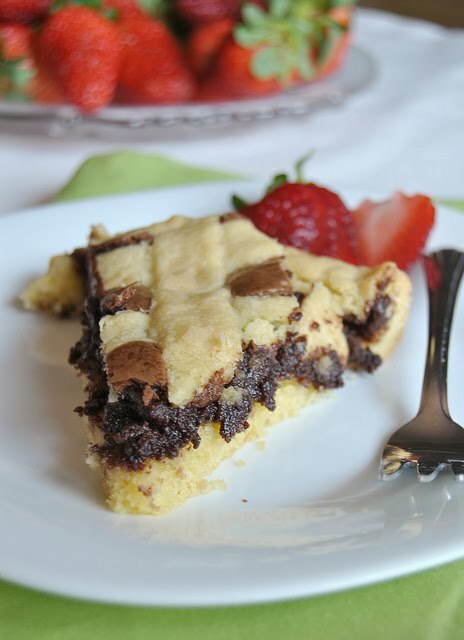 Top with another layer of chocolate sorbet and another layer of cookies. Top with one last layer of chocolate sorbet. 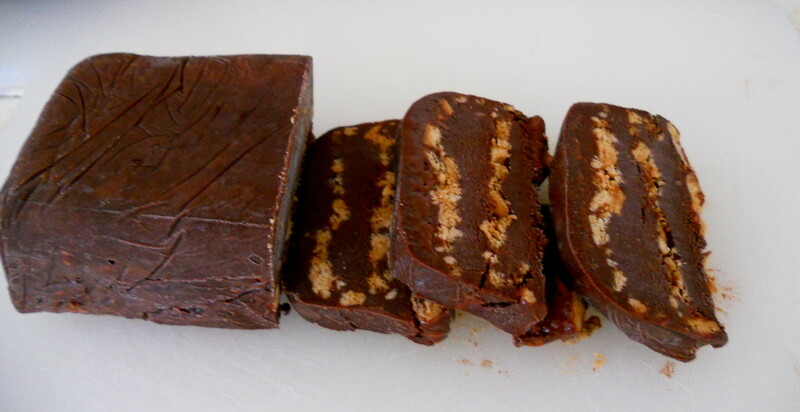 Cover the sorbet with a layer of Butterfinger Snackerz. Wrap the plastic wrap over the top of the loaf and put in the freezer to chill thoroughly until solid. When frozen, slice with a sharp knife. 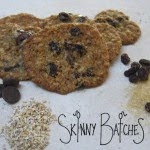 A while ago, I was contacted by a company called Skinny Batches asking if I would like to try some of its yummy baked goods and review them. Would I ever!!! Skinny Batches is the brainchild of Emme. She describes herself as a "nerd in the kitchen who enjoys playing with ingredients and flavors and is fascinated by the science of experimenting with novel combinations and techniques." 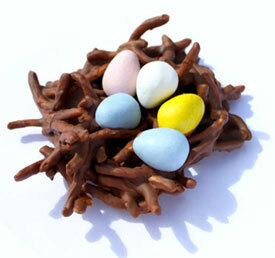 Not only do her treats look luscious, but they are also "low calorie, high taste and quality, and zero guilt." Now that's what I like to hear. The oatmeal cookies were delightfully chewy, having just enough raisins or chocolate chips to give a little sweetness in every bite without overwhelming the cookie. As for the Salted Janets, that little bit of sea salt sprinkled on top of them really gives them that something special that makes them stand out. But, my favorite treats were the crumbies. 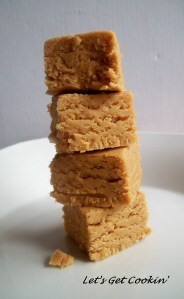 They were like little bites of coffee cake, dense and chewy. Each was topped with a lovely crumb topping that added a nice contrast in texture. The Pear Crumbies seemed to be filled with a sweet cinnamon mixture and the Chocolate Banana mixture in the other crumbies was the perfect combo of flavors. 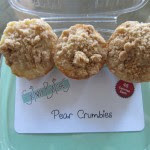 Emme's Crumbies will definitely be unlike anything you've ever eaten before and will make you want to reach for just one more. The best part is that each one is only 45 calories!!! 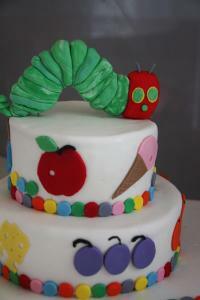 You can order all of Emme's yummy creations on her Skinny Batches website by clicking HERE. Thanks Emme for giving me such a delicious opportunity!!! WARNING: Only EXTREME chocoholics need apply for this one. I'll give you three reasons why you must make this sorbet as soon as possible. 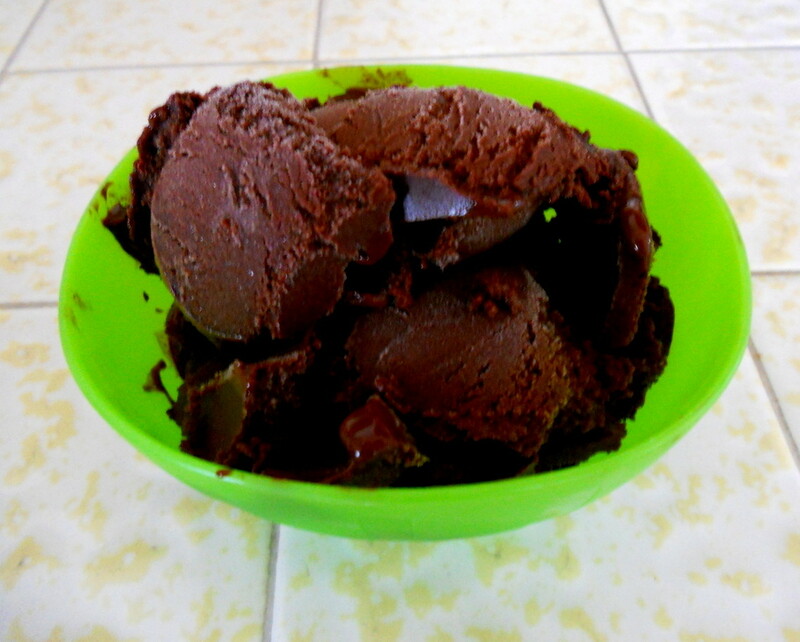 One - since it doesn't require any cream or egg yolks, it's a lot lower in fat and calories than other chocolate ice creams. Two - even without the extra fat, this is hands down the darkest, deepest, chocolatiest bliss that you will ever put into your mouth. 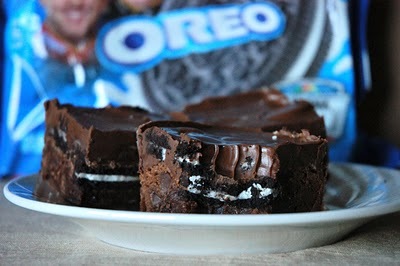 I'm serious, the sheer chocolatiness of it will blow you away. Three - it is a cinch to make. So, get ready, get set, and RUN to your ice cream makers now. You'll be glad you did. In a large saucepan whisk together 1 1/2 c. of the water with the sugar, cocoa powder, and salt. Bring to a boil, whisking frequently. Let it boil, continuing to whisk, for 45 seconds. Remove from the heat and stir in the chocolate until it's melted. Stir in the vanilla and the remaining 3/4 c. water. Transfer the mixture to a blender and blend for 15 seconds (I just whisked the mixture rapidly for 15 seconds). Chill the mixture thoroughly, then freeze in your ice cream maker according to the manufacturer's instructions. If the mixture has become too thick to pour into your machine, whisk it vigorously to thin it out. 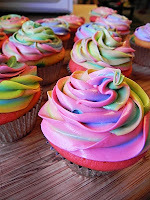 I just love that it's time for another Sweets for a Saturday. It's a delicious joy to look through all of your treats, see your amazing talent, and get such yummy ideas for things to make. Thank you all for being so willing to share your great creations. I'm sure that all of you, like me, now have a to-make list a mile long. But, be prepared because it's about to get a lot longer. It's now time to gimme some sugar and share your sweets! Recently, one of my good friends came over for a visit. I've known her since college and, although the years carried us away from each other, fate brought us together once again. It's wonderful to finally live so close to one another and be able to catch up more often. Of course, the goodies that I make each time she comes are an added incentive. This time, I wanted to make something new for her to try. 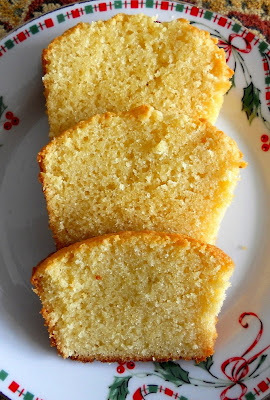 That's when I came across this amazing looking pound cake while browsing through Honest Vanilla's site. What really intrigued me was that it called for condensed milk and, what do you know, I just happened to have a can sitting in my pantry. 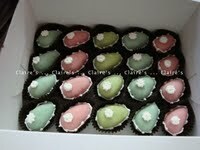 The resulting cakes were absolutely delicious. They were golden, crusty on the outside, moist, dense, and slightly chewy on the inside. Each bite was buttery and sweet. Naturally, I served it with my homemade lemon curd and the combo was everything I could hope for. Oh yes, and my friend really enjoyed it too. I think she'd agree with me when I say that this recipe is a definite keeper! Preheat oven to 325F and generously butter a 8 1/2" x 4 1/2" loaf pan or three mini loaf pans. Sift flour, baking powder, and salt. Cream the butter with the sugar. Add the vanilla. Pour in condensed milk and mix until well combined. Add sifted flour mixture bit by bit while continuing to whisk until completely incorporated. 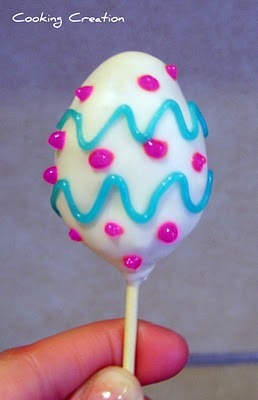 Lastly, add the eggs to the mixture and whisk until well combined. Pour batter into the loaf pan(s). If using three mini pans, it is approximately 1 cup of batter per pan. Bake 1 hour for large loaf and 45 min. for mini loaves. 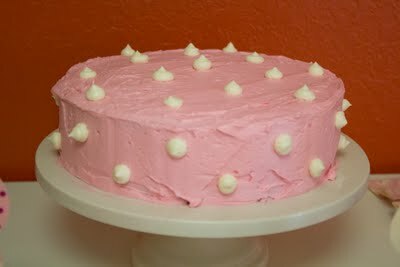 Cake is ready when the top is dark golden brown and a skewer comes out clean when inserted in the middle of the cake. They say that necessity is the mother of all invention and that certainly proved to be true with these muffins. As you all know, I love anything pumpkin and firmly believe that it should be enjoyed all year round, not just in the fall. So, naturally, when I saw a pumpkin version of my beloved donut muffins, well, I just couldn't resist. The muffins baked up beautifully and all that remained was to dip them in melted butter and cinnamon sugar. I got out the butter, I got out the sugar, I got out the . . . wait, where's the cinnamon? I suddenly realized that I had NO cinnamon whatsoever in my pantry. What kind of baker am I to lack such an important ingredient? Not wanting to run to the store just yet, I decided to see if there was anything I could use to improvise. Ginger, no. Chinese 5-Spice, I don't think so. Wait, what's this? I found a bottle of chai spice that I had made. Hmmm, that just might work. It was worth a try. 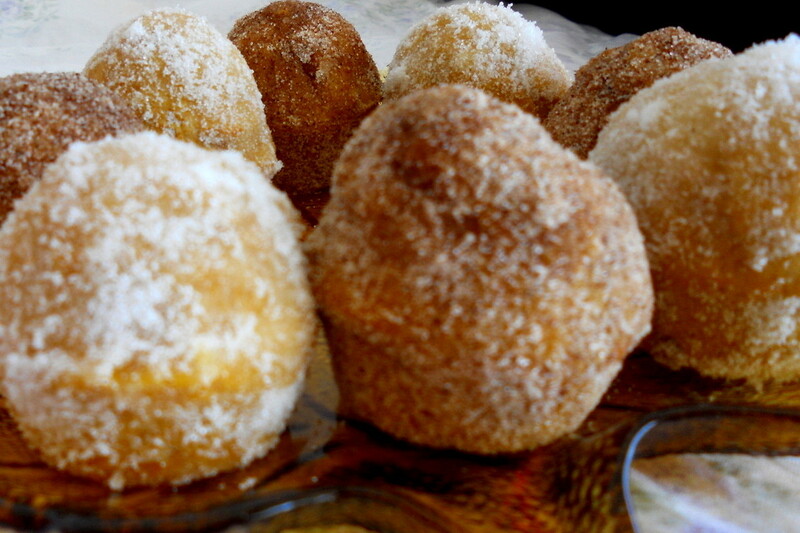 So, I mixed it in with my sugar, rolled the muffins, took a taste, and mmmmmmm. They were excellent!!! The spices worked perfectly with the pumpkin and really brought the warm flavors out. Forget the cinnamon. From now on, it's chai spice all the way for these muffins. Combine all the spices and mix well. This recipe will make more than you need, but it will keep well in a spice jar or bottle. Preheat oven to 500F. Grease 4 mini muffin pans. 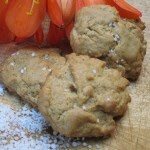 Whisk together the flour, baking powder, baking soda, salt, nutmeg, and allspice. Combine the milk and pumpkin puree. Beat the butter with the brown sugar until light and fluffy. Add the eggs, one at a time, scraping down bowl as needed. Add flour mixture in three additions, alternating with two additions of pumpkin mixture, and beat to combine. Put one tablespoonful of batter into each muffin cup and bake at 500F for 5 min. After the 5 min. are up, immediately lower the heat to 350F and continue baking for 5-7 min. more, or until a toothpick inserted in the center of a muffin comes out clean. Combine the sugar with the chai spice. 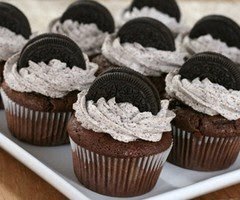 Let muffins cool 10 min. in pan on a wire rack. Remove the muffins from the pan, dip the tops into the melted butter, and toss to coat in the sugar-spice mixture. Let muffins cool completely on a wire rack. Note: I was a little short on pumpkin puree so I added 3-4 Tbsps. of milk to make up for it. They still turned out fine with lots of pumpkin flavor. I'm sure that all of you had some sugar running through your veins this past week and now it's time to show the reason why and display your indulgent treats. 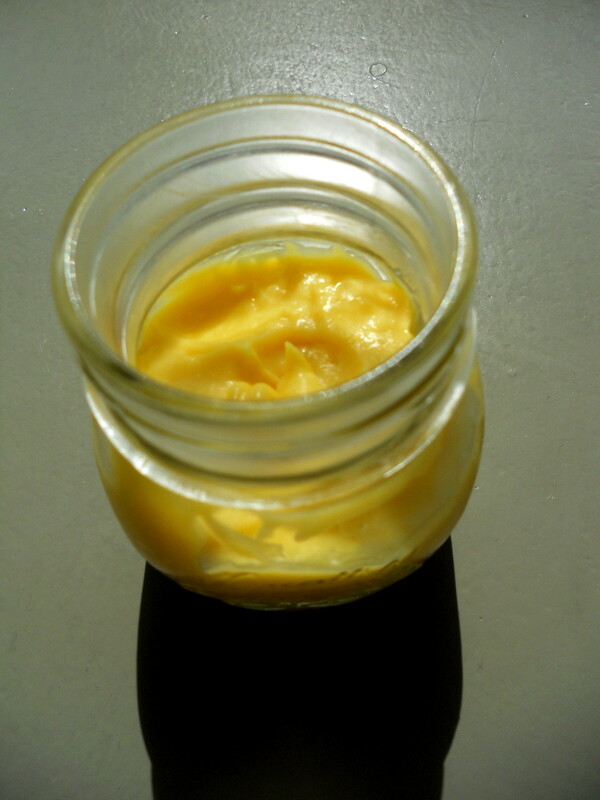 Up till now, I had never tasted lemon curd and always wondered what made people speak so highly about it. Well, after finally getting around to making a batch of it, I now know. It is like tasting sunshine. It's so smooth on your tongue and so full of zing from the lemon. 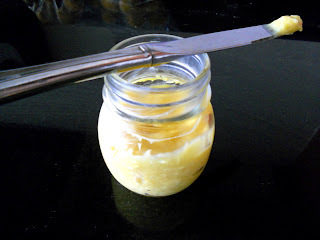 Oh lemon curd, where have you been all my life? I wanted to eat it straight out of the pot or spread it on everything. It was that good. 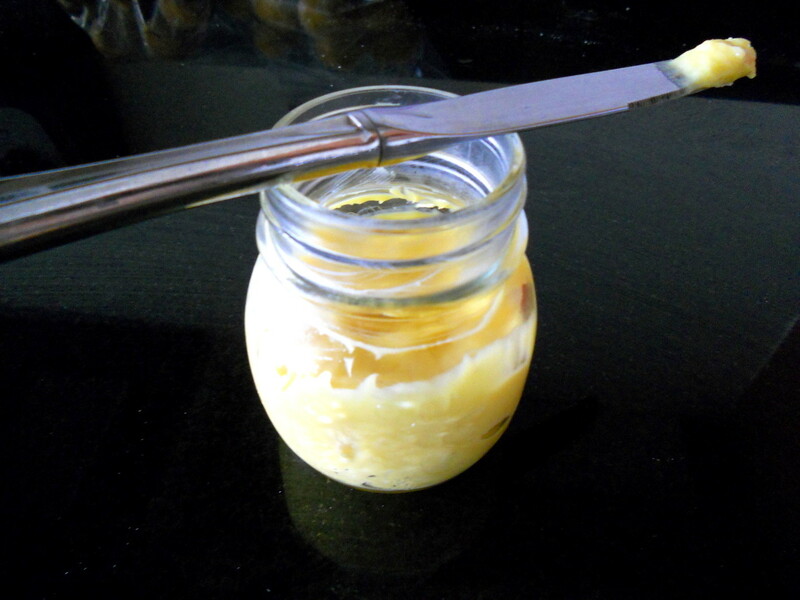 So, when life gives you lemons, do NOT make lemonade, make lemon curd. As a sidenote, I have nearly exhausted my supply of meyer lemon recipes having made bread, muffins, cookies, this curd, and to-be-posted scones and sherbet. If any of you have a totally tasty recipe that uses lemon zest, I would love to hear it. In a medium saucepan, whisk together the lemon juice, sugar, egg yolks, eggs, and salt. Add the butter cubes and set the pan over low heat, whisking constantly until the butter is melted. Increase the heat and cook over moderate heat, whisking constantly until the mixture thickens and just begins to become jelly-like. It's done when you lift the whisk and the mixture holds its shape when it falls back into the saucepan from the whisk. Immediately press the curd through a strainer. Store the lemon curd in the refrigerator. It will keep for up to one week. Mine was taking forever to thicken, so I finally just covered it briefly and let the moisture boil off. Then, I whisked the mixture and repeated this process. You will know it is thick enough when you can see the bottom of the pot as you whisk. I did not find that it was necessary to strain my lemon curd. When cooling the lemon curd after making it, I'd suggest covering it with a layer of plastic wrap directly on the curd to prevent it from forming a skin. Then, after it has chilled, you can store it as you like. 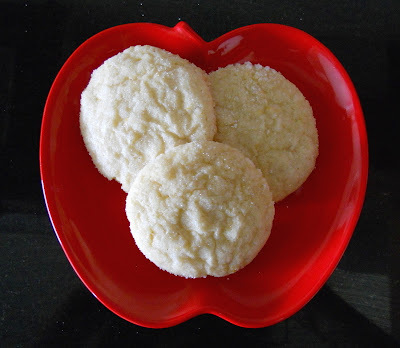 I hope you're not getting tired of all the Meyer lemon recipes because here's one more - Meyer Lemon Sugar Cookies. Usually, things are never lemony enough for me, but that was not the case with these cookies. 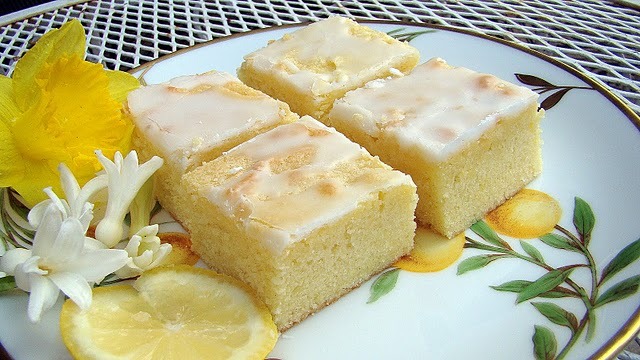 Plain though they may seem, they are full of tastebud-popping flavor that will satisfy any lemon lover. Maybe it's because I left the dough in the fridge for a while before I had a chance to bake it, thus letting the flavors strengthen. I don't know. But, what I do know is that my search for the best lemon sugar cookie is over. For me, THIS is it. 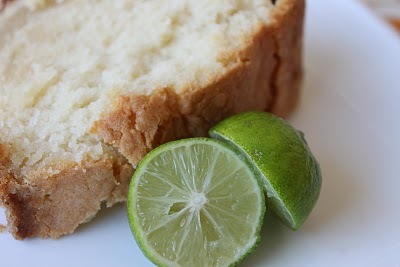 Rub the lemon zest into the sugar with your fingers until the sugar is moist and fragrant. Cream the lemon sugar with the butter. Add the vanilla and eggs. Gradually mix in the flour mixture. 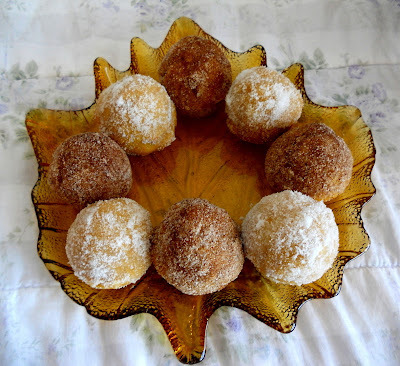 Shape the dough into 1-inch balls, roll in the sugar, and place on the baking sheet. Bake for 9-11 min. until set but not browned. Edges should be slightly firm. Cool cookies on the pan for a minute, then transfer to a wire rack to cool completely. Store in an airtight container. Thank goodness that Spring is finally here. After days of temperatures in the 50s I am definitely loving the sunshine and the fact that I no longer feel like I'm freezing in my apartment. But, if the temperatures do dip down a little again, well then I'll just bake up some yummy goodies to warm things up. That said, here are your Top 5 from last week. Now it's your turn to show off your sweet talents.